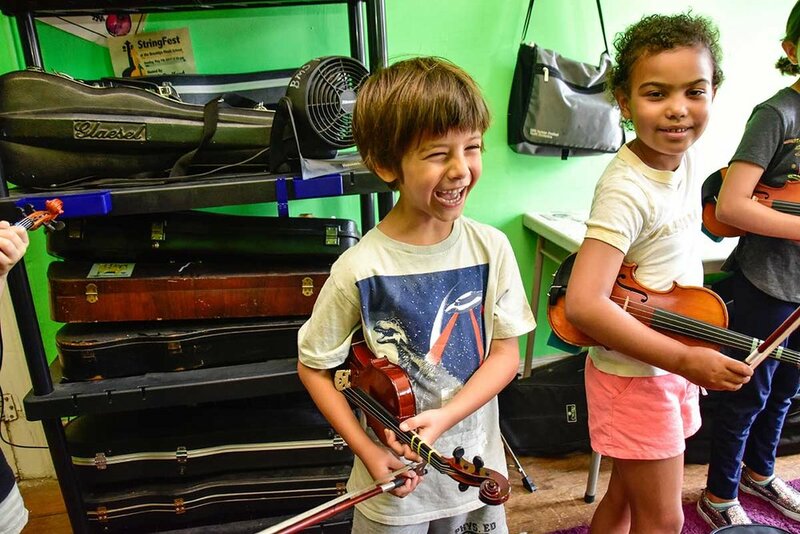 This introductory violin class for ages 4 - 6 will focus on the basics of violin playing: instrument care, preparing the instrument and bow for playing (including rosining the bow), basic notes and rhythms, with attention to listening, creating a good tone with good intonation, and good playing form. This class is a great precursor to private violin lessons which are available throughout the week and on weekends. Day + Time: Saturdays at 10:00 a.m.
Day + Time: Saturdays at 9:00 a.m.
*This class is only for one trimester. 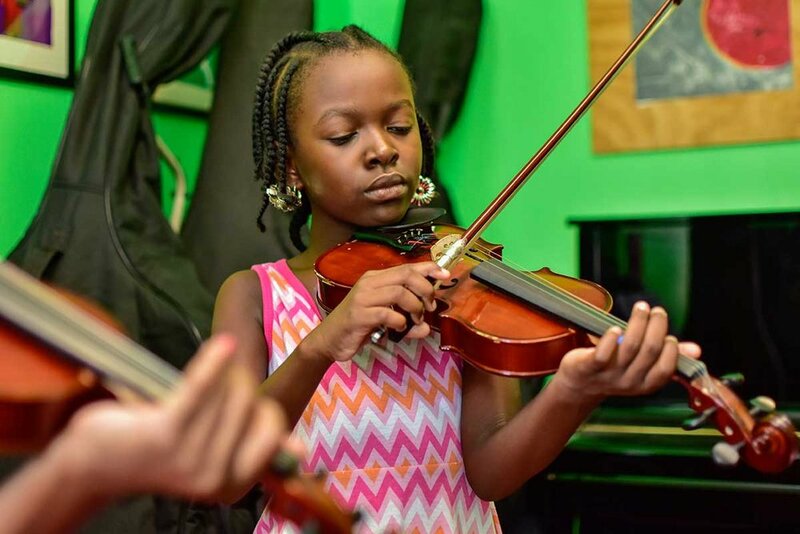 If the student wants to continue in group class for the next trimester, they can transfer into the Group Violin - Academic Year class if there is a space on the roster.